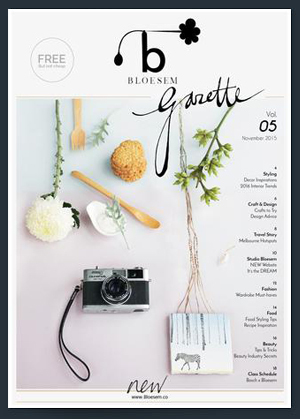 Working on the latest Bloesem Gazette Volume 5 reminds us that we're so honoured to be able to get to know and collaborate with so many creative minds from all over the globe.. If you have read the Gazette, you would have seen that we have gotten the golden opportunity to gather wise words from the movers and shakers across all different mediums. In the styling category we invited Anna Pirkola to shed some light on some interior styling related questions.. it's always fun to hear what the pros have to say, don't you agree? A designer and interior stylist, Anna Pirkola's style is simple and clean, but welcoming. She uses lots of white and light colours to bring out certain statement pieces, but at the same time she isn't afraid to stray and make use of dark tones too. For us to all get to know her a bit better, we're sharing a little Q&A we did with the lovely Anna..
Tell us about your most interesting piece of furniture in your living room. The old Skanno arm chair that we got from my mother in law. I upholstered it with the paper fabric I found from Artek. I found three layers of old fabrics that really told their story of the different decades. You know crazy 90's prints with bright colours and blueish fabric with really really small flowers printed on it? Totally. So which would you say is your favourite furniture decade? 1950’s and 1960’s. Lots of design classics were made in those decades. Which is your favourite corner in your home? Describe it and tell us why you love it! I have to say our kitchen. I almost hated it when we moved in and it didn't take that long before my friend and I started to rip it down. It was one of the best decisions I've made. There's no walls between our kitchen and living room, so I could see the old and ugly kitchen even when I was sitting on the living room sofa. One thing I really like about our new kitchen is that we did it with a very low budget and because of that we used more imagination and thought through every option. With more money I guess we wouldn't have had the plywood level. That would have been such a shame. Agreed! Do you have any tips for decorating on a budget then? The most important thing is to give it some time. The first solution could be quite expensive and if you think it through, you can find something else that is more wallet-friendly. The easy and cheap way is to paint a wall, or just a part of it. It can really change the whole atmosphere of the room even if you leave everything else as they were. What I really loved when I was a kid, was juts to reorganise furniture, shift things around and collect flowers from the backyard. What would you say is your go-to colour scheme for your home? There’s so much going on all the time, so I like to keep my home very simple, very calm, and in other words, pretty Scandinavian. Monochromatic colours like white and grey create the perfect canvas for furniture, bookshelves and everything else with more colours.. You can easily change the whole look and vibe by just making some changes to the furniture or even items on the bookshelves, but I like to keep the background simple. Gotta agree on the white walls! They just go with everything. Now how about your dream home? Tell us some attributes of how it would be like. High ceilings, big windows, lots of light, use of pure natural materials, be close to the sea and a beautiful view to look at when I'm having a breakfast. That sounds absolutely lovely.. What are some of your favourite decor magazines to get inspiration from? Asun - it's a new Finnish magazine, Kinfolk- just so beautiful, Open House magazine, Apartemento, Milk-home. And your favourite furniture brand? Artek - I think it has special place in every Finn's heart. Simple and modern designs that never go out of style. What interior trends do you foresee in the coming 2016? White is not going anywhere, but there's going to be more shades of it. Lifestyle is coming more and more into focus. So the slow life is something to to think about. That means more arts, handcrafts, DIY, and environmental solutions.. Thanks so much for your time Anna, and for your amazing contribution to our latest Bloesem Gazette yet! Recently the Bloesem Team got to work with Pop Up Shop! Angkor to style and photograph their super cool products: Cambodian souvenirs but with a unique, contemporary, and eclectic twist, something you don't see coming together often! 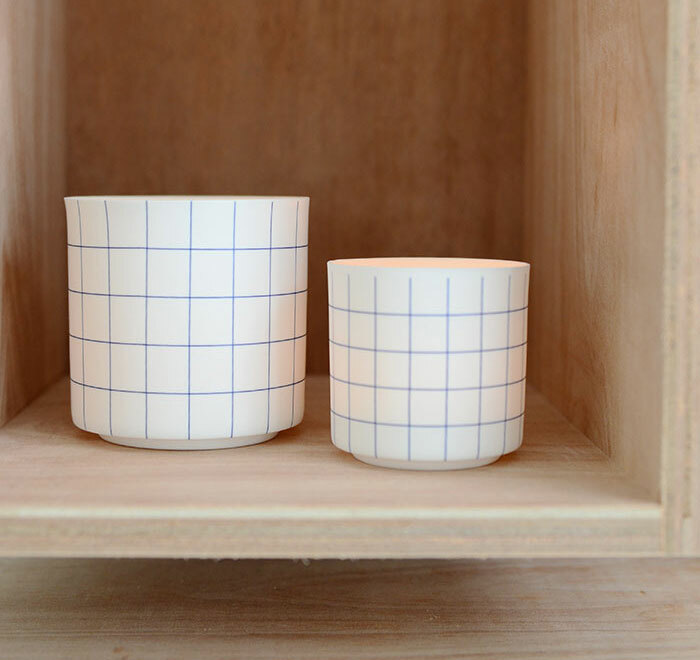 As a playful, design-centric shop now located in Kandal Village, they collaborate with a small team of independent designers and local craftspeople to produce a limited edition capsule collection of cheeky gifts and collectibles each season. Think Angkor-inspired textiles and minimalist prints on functional, everyday items like pouches, coasters, and cushion covers. To complement the fun, cheery vibe, we used bright colours and bold prints in this styling project, bringing out the vibrance of Siem Reap, Cambodia. The photographs also show you how easily they can be incorporated into our daily lifestyle, freshening up your home with a pop of colour and quirky prints. We thought this project was a fun and interesting way to get to know Cambodia, don't you agree? If you're thinking about engaging the Styling and Photography Services of the Bloesem Team, go ahead and drop us an email and let's have a chat! Starting with the basics and working your way up is always a great way to go about doing things, whether it's styling, decorating a home or even doing a project. What's more basic than a white canvas, a plain fresh start. You can hardly go wrong if you keep it simple. Sara Medina Lind is a Swedish-based art director and photographer and with the use of a lot of white and some soft tones, her images always come out so soft (not literally but you know what we mean). Styling for images 2 & 4 by Pella Hedeby and Marie Ramse. Photography by Sara Medina Lind. Oh how sweet and calm are these images styled by Stefanie Maas. A beautiful setting to come home to.. We love the neutrals and the subtle textures throughout all the images. At the end of the day, styling makes all the difference. These images are such great inspiration! Since Bloesem.co went live last week, we have been getting so much feedback about our classes and we are so thankful for that. One of the questions that kept coming up though, was about styling. We realized not many people know what styling is, which might be perfect since we are bringing Jurianne Matter to teach us exactly that! Having taught students during projects at the Artemis Academy in the Netherlands, Jurianne is totally up to the task of shedding some light on the questions around the word styling, and we will be using works from the academy artemis to illustrate the wondrous world of styling. The word styling means so many different things to many different people. So what actually is STYLING? Let's go ahead and dissect this word. Styling can really help you sell something, literally and metaphorically. If you style a house's interior really well, with great furniture and beautiful accessories, that can make you the sale. You actually SELL the house. but styling can also help you sell something, in the sense of convincing people of something. Like in films, when wardrobe stylists pick out clothes to fit a characters personality or fit the time period the character is in, it sells us the story and makes us believe the actors really fit into that setting. Already we have mentioned two examples of styling, fashion and interior styling. There's also food styling, you know those irresistible shots of maple syrup dripping off pancakes or the juicy burger on the burger king ad. The food doesn't just look that way, it's all thanks to the food stylist, that our tummies are rumbling and our mouth over-generating saliva. When you are shopping and walk past shop windows, the people who style the mannequins and the shop windows are visual merchandisers, they help sell the clothes, because when people see a nice outfit on the mannequin, they are inclined to walk in and have a look around, or more specifically, hunt down that outfit they are now lusting over. Styling is everywhere in that magazine you were just reading. The fashion, the interiors, the products... a great deal of effort was put into how everything looks the way it looks. So do you see now? Coming up with a great product or space or item isn't good enough anymore. Good styling bridges the gap between that and the item actually been sold. It's the step in the process that makes the buyer go :" ooh, i want that", it makes things look good enough to buy. Though styling is a professional career for many, having the knack for styling can come in handy for anyone. Let's say for a mom who wants to makeover her kitchen, or her child's room, or even her entire home! Having the skill, though not at a professional level could still come in handy in many situations. Now that we have established some idea of what styling really is, (before this, whenever i mentioned styling, everyone would think I worked in the fashion industry, biggg misconception), and how important it can be, we now have to answer that big looming question: Can you learn styling, or does it come naturally? It's like the nature vs nuture debate: styling edition. In styling, it's the small details that really make the world of a difference. You have to have an eye for it and look out for what little things can make a space look better. We believe that it's something you can learn to do, like anything else.. Watch the professionals, see how they do it and just practise practise practise. Trying out styling things on your own and slowly but surely, you too will get it! 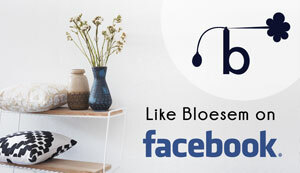 Spreading the word and the fun of Styling has become one of our latest adventures here at Bloesem. 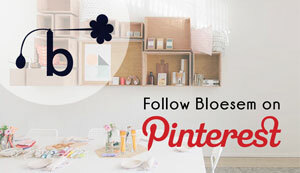 With the launch of Bloesem.co last week, we are also excited for our latest class in March! 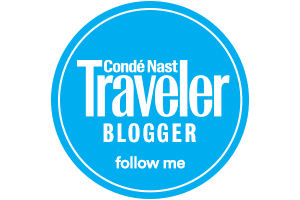 Also, thank you for the great response on Bloesem.co! So many have already signed up for the upcoming classes, we're thrilled! - Zara S.
Now you can sign up for a 'Styling workshop' by Jurianne Matter at Bloesem studio in Singapore. Today we are very happy to be sharing images from the ladies behind Getyourkickson (again!). It is a home tour in the Netherlands from the founder of Designlemonade. Jessica Peters' home has a very homely and comfortable vibe with its soft colors and wooden furniture. I like how the space is not overly perfect, like the metal drawers. I love how they are not all of the same color and the ones that havent been painted white show that they have been used previously. One interior design tip I have picked up from Jessica's beautiful abode is playing with new and old pieces. Each room of her house has one piece that looks like it has a history (like the wooden table in her bathroom) which is what gives her home that comfy, cosy vibe. A place you would really want to live in rather than just like a picture of. I think my favorite piece is still the cabinet with the metal drawers. I love how imperfect the entire piece is. Ironically, it is perfect paired with the pastel green lamp and all the cute little knick knacks. Don't you just want to go on the hunt for some good vintage pieces at a flea market or thrift store?It's amazing how one piece of furniture can change an entire space. ~ Zara S.